Chris Krueger is a design lead focused on practical customer centered design. His solutions based design strategy starts with understanding the design challenges of each project. Balancing the competing demands of cost, performance, user environment, he layers form, function and financial considerations into the initial design. With customer feedback and testing he produces an elegant and effective user experience. This comprehensive approach takes on the entirety of the design experience from the industrial design, screen UI, audio to battery life, prototyping and final per-unit cost. The UI and backend systems he creates for Moddable clients is optimized for efficient development. Providing engineers clear online information to create compelling UI is key to a rapid development cycle. His skils and depth of knowledge in merging software solutions with physical prototypes of products are an essential component of the product development cycle enabling quality customer feedback as early as possible. Prior to Moddable, Chris founded two companies, C-Wave and eNature. C-Wave, a multimedia design studio served the emergent tech sector showcasing new technologies with interactive presentations for Apple, Adobe, HP and GAP. C-Wave also produced award-winning kiosk presentations for educational institutions. Clients included J.Paul Getty Museum of Art, American Museum of Natural History, SFMOMA, California Academy of Sciences. 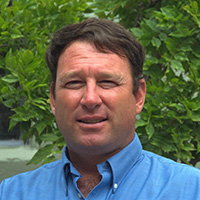 As founder of eNature.com, Krueger took the Random House, Audubon Field Guide print series and brought it to the web, CD-ROM and mobile devices. He extended the book series by hiring a team of naturalists to create a zip code based database of North American Flora and Fauna. eNature was acquired by the National Wildlife Federation.